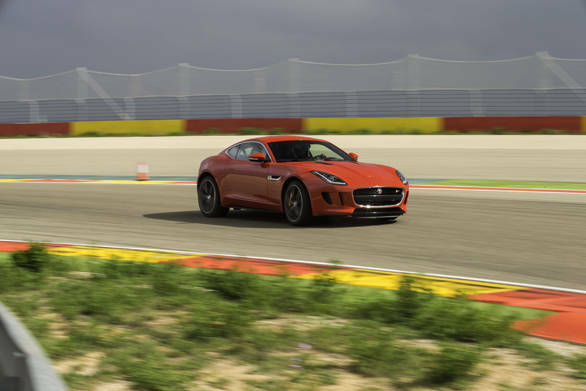 "The F-Type was surreal  lots of grip, even more power and a noise to wake the dead." This is what our principal correspondent Rishaad Mody had to say after the road test of the R Coupe version of the car, which went into print in our October issue under the headline 'Arkham's finest'. With a "mental" 550PS on tap from the supercharged V8, the car went on to beat the likes of the M siblings from BMW, the legendary Porsche 911 Turbo and  wait for it  the Lamborghini Huracan. Also in the mix were the Audi RS7 and the Mercedes. While its contenders brought some serious competition to the table  the Huracan commands a terrifying 610PS making V10 engine and the Porsche takes only 3.1 seconds for a 0 to 100kmph sprint  the F-Type Coupe held its own with its spellbinding performance on the racetrack. So with practicality and efficiency out of the equation, the F-Type got our vote for the superb sportscar experience, luxurious feel and of course its mad, mad performance.